Leatrice Guttentag, the founder of Glass Remembrance, moved from New Jersey to Ohio after September 11, 2001. On that day she had been working in her office, in the computer industry, on the 80th floor of the north tower. She escaped just minutes before the building collapsed. Her job was gone, but she reassessed her life and returned to her love of art. Art was therapeutic and helped console her after losing many friends. Her dog Dozer, sensing her sadness, was a major comfort, providing Lee with unlimited love. After Dozer’s passing Lee sought a way to save Dozer’s cremains in a beautiful piece of glass art that would honor her beloved friend and so “Glass Remembrance” was born. 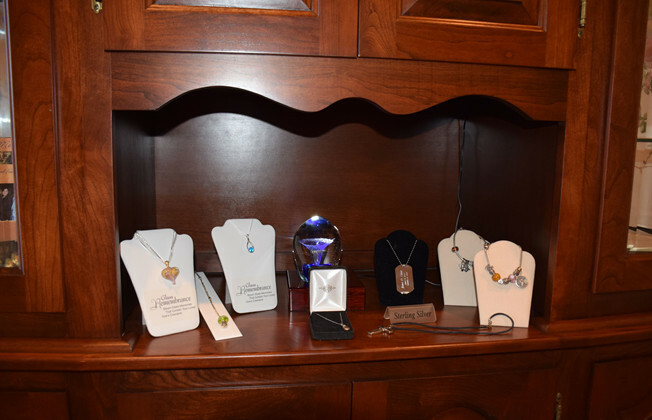 'Glass Remembrances' are created by glass artists who create a work of art that contains a small portion of the actual cremains of your loved one and keepsakes that encase jewelry and flowers and other memories. In today's highly mobile society people can be separated from a dear friend's resting place. We create portable tributes that can always be part of your life. Handling a person's cremains is a huge responsibility. All of the cremains are handled separately; hand sifted and used individually in each piece of glass creating a permanent work of art. All of our tributes are handmade, in the USA and individually signed by the artist. 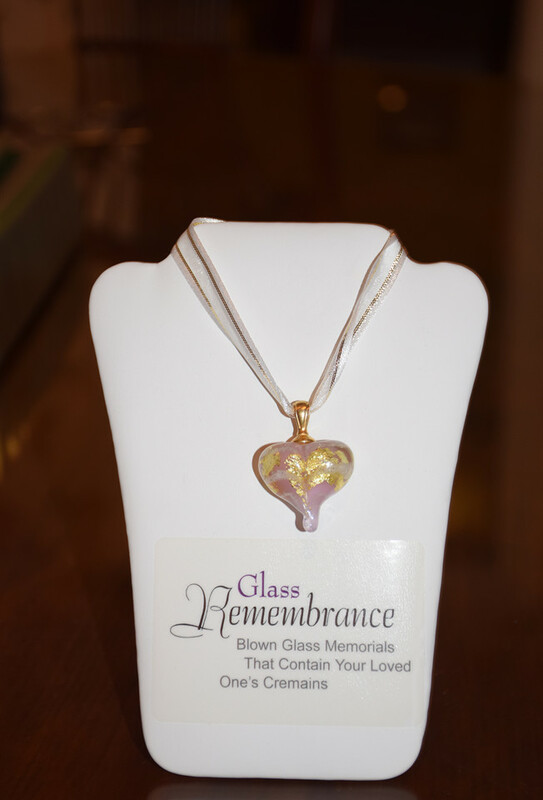 'Glass Remembrances' are the perfect gift, display or remembrance of a loved one to bring the continued comfort of keeping that loved one eternally near. All of our work is custom made to your order; therefore please allow us sufficient working time to create your glass memorial, especially during the holiday season. On average allow 5-6 weeks for delivery.